It was all going a little too well for the home teams in the playoff series up to this point. With three teams roaring into a 2-0 lead in their individual games, all of the attention fell on Barcelona to see if they could complete the clean sweep of home wins in the first two games of the playoffs. When you think about the fantastic run of form Barcelona were on, most people would have expected them to do the business against their Greek opponents but it just goes to show that you can never take anything for granted in basketball. Barca were favourites for the game, but they weren’t the runaway favourites like some of the other home teams this week and in the end, that proved to be the case. 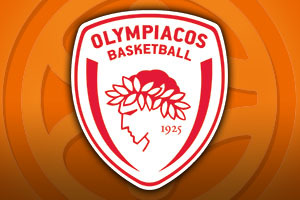 With the score in the series now standing at 1-1, Olympiacos know that they have the next two games at home, and two home wins will see them into the Final Four. This will be especially cruel on Barcelona with the Final Four taking place in the home of their bitter rivals Real Madrid but they may look back on this game as being the night where they blew the opportunity to teach their rivals a lesson! If you are going to grab a massive win away from home at this stage of the campaign, you need your key men to have a big game and this was definitely the case for the Greek side. Vassilis Spanoulis was far from his best on Wednesday, which was understandable given that he was returning from injury, but on Friday, he was on fire, grabbing 16 points and 5 assists. However, even his performance paled in comparison with the showing of Georgios Printezis, who managed to deliver 22 points and 9 rebounds. With Vangelos Mantzaris provided 12 points for the away team. Then again, while the attacking prowess of Olympiacos was on show, it was their defensive work that was probably the key factor in this win. They limited the Catalan club to just 63 points, which is a tie for the lowest amount of points that Barcelona have picked up in a Euroleague playoff. The fact that Olympiacos achieved this in Catalonia is a massive achievement and one that they deserve every bit of credit for. Juan Carlos Navarro was probably the key player for Barcelona, offering 16 points with Ante Tomic serving up 14 points and 14 rebounds but on the whole, it will be a night that Barcelona will want to forget. There is no reason why Barcelona cannot go to Greece and get a win that will negate this loss, but it is definitely going to be a tough task for the team from Catalonia. The thing is though, with all of the other playoff games seeing a 2-0 lead being taken abroad, this is the game that has the biggest edge to it and when next week rolls around, this is likely to be the game that people really want to see. 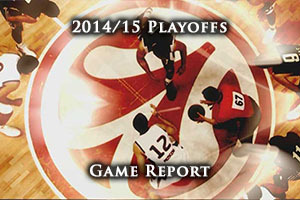 However wins, it sets up a tantalising Game 4, which is exactly what people want to see at this point of the season.